When a tremendous spacecraft takes orbit around Earth's moon and begins sending smaller landers down toward the North Pole, the newly arrived visitors quickly set up a permanent spaceport in Siberia. Their presence attracts many, including Rick Schumann, who establishes a tavern catering to all the various species of visiting aliens, a place he calls the Draco Tavern. 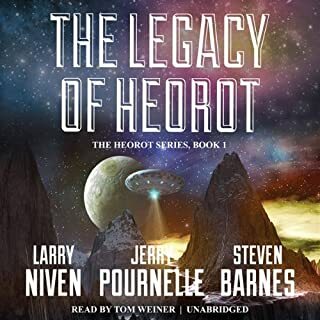 From the mind of best-selling author Larry Niven come 27 tales and vignettes from this interstellar gathering place. Captain Rick Galloway and his men had been talked into volunteering for a dangerous mission only to be ruthlessly abandoned when faceless CIA higher-ups pulled the plug on the operation. They were cut off in hostile territory, with local troops and their Cuban “advisors” rapidly closing in - and then the alien spaceship landed. Rescued from certain death, they now must fight another world’s war. After more than two hundred years as a corpsicle, Jaybee Corbell awoke in someone else’s body and under threat of instant annihilation if he made a wrong move while they were training him for a one-way mission to the stars. But Corbell bided his time and made his own move. Once he was outbound, where the society that ruled Earth could not reach him, he headed his starship toward the galactic core, where the unimaginable energies of the universe wrenched the fabric of time and space and promised final escape from his captors. Then he returned to an Earth eons older than the one he’d left, a planet that had had three million years to develop perils he had never dreamed of - perils that became nightmares that he had to escape... somehow. Larry Niven is the multiple Hugo and Nebula award–winning author of the Ringworld series, as well as many other science fiction masterpieces. His Beowulf’s Children, coauthored with Jerry Pournelle and Steven Barnes, was a New York Times best seller. He lives in Chatsworth, California. ©1976 Larry Niven (P)2012 Blackstone Audio, Inc. The first chapter of this book was a short story called Rammer. It was an excellent story and I would give 5 stars to it alone. The rest of the book deviates from the first chapter in content, style and imagination. Niven has a great imagination as demonstrated in his books, Ringworld, Protector, The Integral Trees and Limits. The second half of this book sounds as if it was written by Philip Jose Farmer. The question: Do you know how people get old? is asked a couple of times. For me it was listening to the second half of this book. If you could sum up A World Out of Time in three words, what would they be? Do not drink while listening to this book as you will have no idea what is happening! 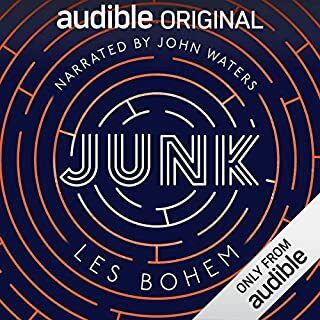 I enjoyed the story, but dislike the narrator. I got through the book, and thought the story was fun, but I doubt I will ever buy another Tom Weiner narrative. There is just something about his cadence and inflection that bugs me. A better narrator would have gotten it to at least a 3 star review. I don't think there is anything that could have me commit to a 4 star or higher though. Would you recommend A World Out of Time to your friends? Why or why not? It depends on the friend. If it were a friend that enjoys wildly imaginative worlds and characters and philosophies, I probably would recommend this one. A friend that enjoys a more structured story with character depth I would advise to skip it. He had a repetitive tone. I have listened to narrators before that had inflection and feeling to their reading based on the situation. I never found that here. It even took me out of the story sometimes as I was listening to the same sentence pattern after same sentence pattern. I would just listen to the da da da da daaa. It varied of course based on sentence length obviously, but was clearly evident. I should clarify that it wasn't horrible. I have listened to many worse narrators. It was just monotonous for long stretches which is not suitable to my attention span. This was my 2nd Niven book; my 1st being Ringworld. 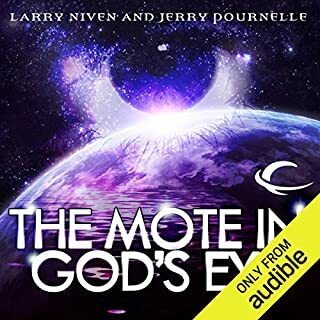 If you are a fan of the Larry Niven style and imagination I do think you will enjoy this book regardless of narration. Had I not known it was the same author as Ringworld, I would have noticed the similarity in styles. That said, however, Ringworld was a much better book and while it may not be fair to compare this book to one as acclaimed as that, you should at least be cognizant so as to have lessened expectations. Relocating planets is just one of the cool topics! This is my third Niven book and I just can't get enough. My favorite book so far as been Ringworld but I also found this one to be very interesting. It involves plenty of space travel, some AI, and plenty of dystopia. I loved how the novel technically takes place over a huge time period because the main character goes into cryo so often. This book encompasses so many theories of how the world could go in the future: What if girls ruled the sky and boys ruled the earth? What if adults were just used to make children? What if there was immortality? What if you could move planets? Plus there's a whole Les Mis kinda part where a government official is obsessed with bringing to justice the main character. Lots of action and plenty of interesting science. What disappointed you about A World Out of Time? The narrator was mono-toned and the story was boring. The characters change names and come to crazy conclusions. 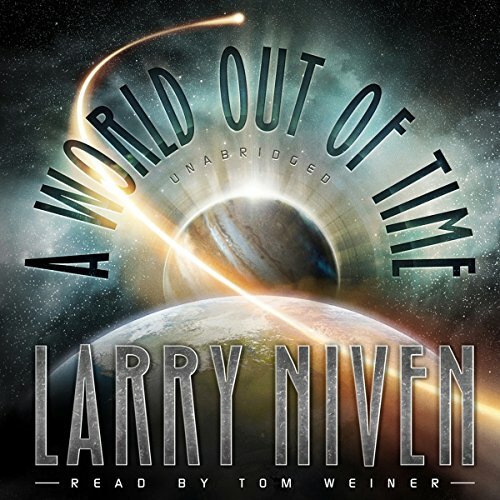 Would you ever listen to anything by Larry Niven again? A must listen for any time travel buffs. What did you love best about A World Out of Time? I actually loved that this wasn't just a time travel book. There is a good chunk of it that takes place in interstellar space. That learning is done by memory shots. That even in millions of years cars will still be an accepted form of transportation. I love Peerssa for some reason. I love the cat tails. I loved that despite this book being written in the 70s, it is still a brilliant piece of fiction. What other book might you compare A World Out of Time to and why? I have only listened to 3 other time travel books, "The Time Travelers Wife", and "Times Eye", both of which are nothing like this book. If I had to make a comparison to anything, it would be the Blockbuster movie, "The Time Machine". Everything, every voice was distinct and separate. Mirelly-Lyra even had that old crony sound. Tom was awesome! I didn't laugh or cry but I had an acute interest in getting to the next chapter. Got to ask yourself...would you ever take a one way trip 3 million years into the future? 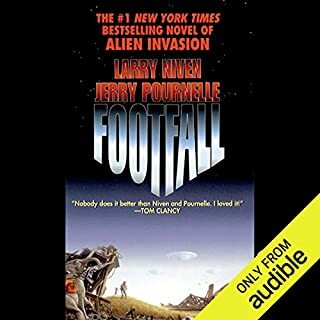 This book struck me as something to listen to if you're in the mood for some Larry Niven. It pretty solidly delivers on that, albeit not exceptionally so. Semi-thought provoking, but feels rather dated (anything more recent that concerns life extension always seems to trot out telomeres, and this doesn't). Doesn't detract at all from the story, though. I wouldn't mind some sort of sequel, which is to say that it seems to leave itself open to one, but I honestly don't know Nivens' bibliography well enough to say whether there is one. 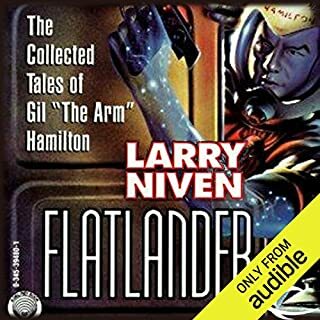 The narrator is the same who's narrated the last few Niven books I've listened to. Does a decent job, and has more or less taken up residence in my mind as the "Voice of Nivens." Imaginative and a great story. This is Larry Niven on top of his game, don't miss it. There are several sequels that hold up well. You're in for quite a ride if you pick this up. Do you remember the late-career books and stories from RAH (Number of the Beast, etc)? AWOoT falls and fails to many of the same tropes. It was okay. I do not feel as though I was robbed of either money or time. It simply wasn't as good as I was hoping for? Niven doles out a fast paced story containing lots of incredible sci-fi ideas. Niven completes his amazing trick of making the fantistic believable with many ideas that wouldn't be out of place in his Known space universe. However this is not a perfect Niven tale the story focus changes rapidly and although the mysteries are interesting all apart from one is solved too fast. The fast pace allows Niven to quickly develop a new universe but all apart from the main character feel underdeveloped. For anyone new to Niven I would suggest starting with 'Ring World' and other Known space books, but if want something beyond his main work and you can hold onto to the roller coaster strap in and enjoy, just watch out for the sudden stop! I never tire of this story. 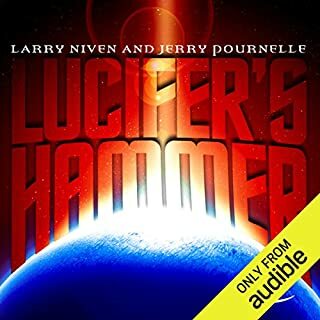 Larry Niven at his best and the performance was great. Good character voices and well read.